Just checking in, because I know I’ve been pretty quiet lately. The truth is, there’s a lot going on right now, between involved work projects, family trips, and probably most significantly, my family of 4 will increase to 5 at the end of the summer. So you know who gets neglected? 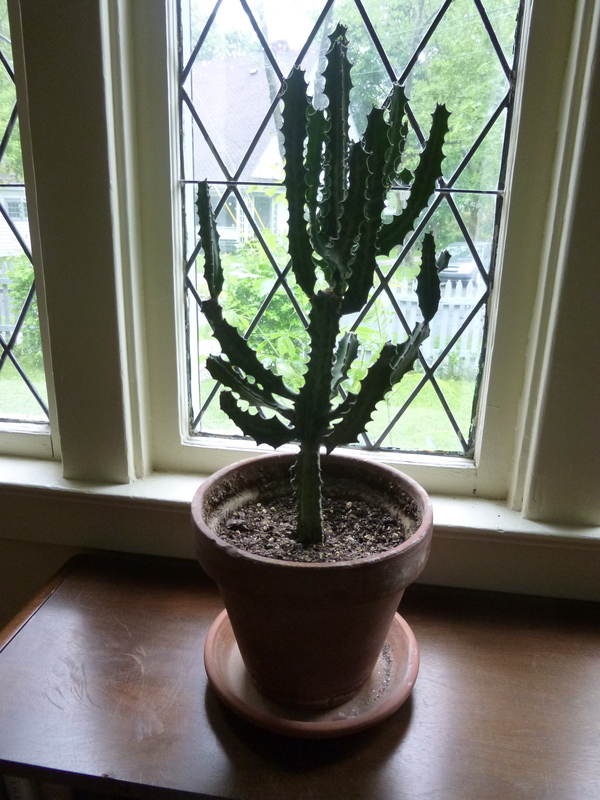 You, just like my poor faithful house cactus Harry, who’s been with me now for something like 16 years and has withstood multiple dismemberments and many, many months at a time of drought. So, dear reader, I will try to post good ideas and interesting food bits through the summer, and I hope you’ll stay with me, even through this time of drought. Eventually Harry does get watered, and I promise at some point you’ll get some love again, too. « Link: This is way too cool.